We were fumbling around with copper and konstantan. 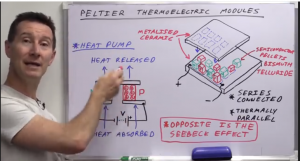 But I had also an idea about experimenting with a Peltier element I brought (which strangely disappearded into outer space, nowhere to be found….). We knitted the threads but not much came out. But the experiment of Jussi: just a knot and a lighter worked fine. 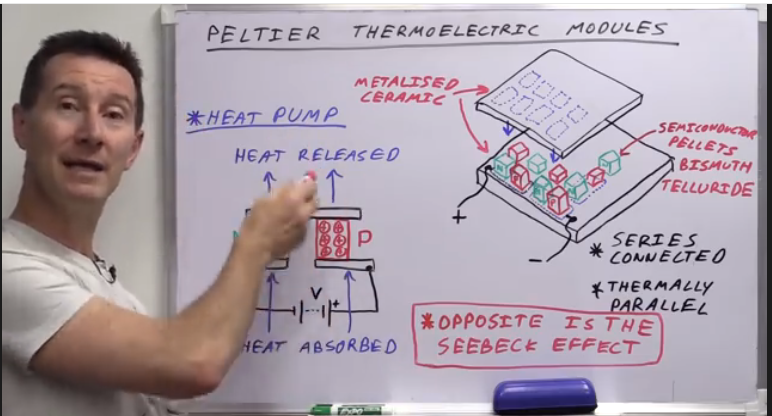 Today (so ages later) I found this video, doing just that Peltier idea: Seebeck effect with the Peltier element.